When Instagram ads was added to Facebook’s ad offering, many people assumed that the two placements would be nearly identical in terms of best practices, cost, and engagement rates. Not true. Though Facebook and Instagram ads have coalesced well in one ad system, it’s still crucial to consider them as two very unique platforms. They are similar, but they’re far from identical, and for brands who are used to Facebook ads—this is what you need to know before you run an Instagram ad campaign. 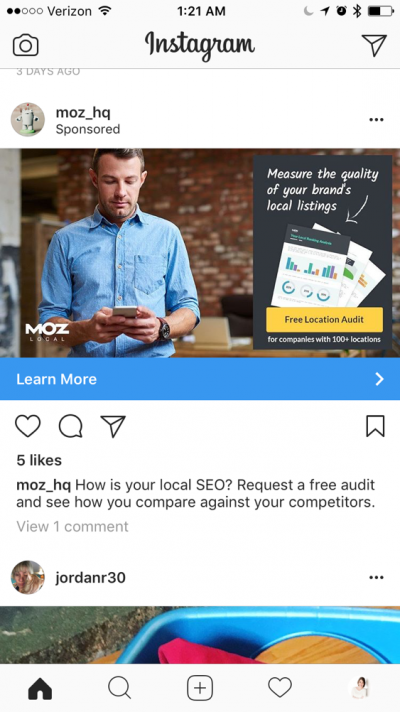 There are two types of Instagram ads: ads that will appear in the mobile feed, and story ads. Mobile feed ads will appear in users’ Instagram feeds, much like Facebook’s regular News Feed ads. Like Facebook’s News Feed posts, they can consist of several different types of ad formats—including a single image, a video, or carousel ads that use both— and they can be saved like normal posts. Unlike the organic posts surrounding them, these ads will let you add clickable CTAs that take users to the destination of your choice. We don’t yet have a Facebook equivalent for story ads. They’re part of Instagram’s Snapchat-like feature, and play in between organic content from users your viewer follows. They’ll take up a users’ entire screen (requiring content with a 9:16 image ratio), but they’re shorter than regular videos, and once they’re gone users can’t scroll back. They’re good for building brand awareness and sending traffic to your site. While you can access Instagram from your desktop, ads are only shown to mobile users. This makes sense, since Instagram was designed as a mobile app. Advertisers must plan their Instagram campaigns accordingly. A “buy now” ad that takes users through a complicated checkout process might not perform well as an ad with a simple conversion path—like an app download or website visit. Instagram video length requirements are different than what Facebook marketers are used to. Mobile feed ads must be kept under 60 seconds long, and story ads must be kept under 15 seconds long. If you’re running a campaign with placements for both Instagram and Facebook, keep this in mind: Facebook allows videos to go long past the 60 seconds, so you’ll either need to run separate ads or cut the video down to meet Instagram’s specifications. 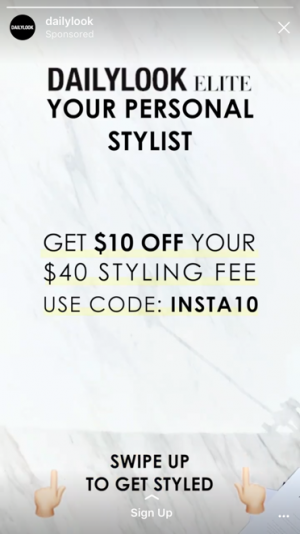 Because you pay for them, Instagram ads are guaranteed to be delivered to your target audience. And that means you don’t need to use hashtags to boost the visibility and discoverability of your content. So go ahead and unclutter your Instagram captions and leave hashtags out. According to a recent test and detailed analysis by AdEspresso, Instagram ads often cost more than both Facebook and audience network placements. In AdEspresso’s test, the average cost-per-click (CPC) of an Instagram ad was around $0.70. It’s also worth noting that the CPC is noticeably different due to several factors: female audiences have higher CPCs than male audiences, weekends have higher CPCs than week days, and apple devices have higher CPCs than android devices. See the full report here. Though Instagram ads may cost more than other platforms and placement options within the Facebook ads system, the high engagement makes them undeniably worth it. Instagram’s organic content consistently has some of the highest engagement rates amongst all social media platforms, so it’s not much of a surprise than their ads do as well. Several studies back this up. Forrester’s independent research of Instagram ads concluded that users are 58 times more likely to engage with branded content on Instagram than on Facebook, and 120 times more likely to do so than on Twitter. It’s also worth noting that visitors stay on a site 192 seconds longer when they come from an Instagram ad. Even if they cost more, I think most businesses would agree that paying more for good quality leads is worth it. Get the most out of your Instagram ad budget with AdEspresso by Hootsuite. The powerful tool makes it easy to create, manage, and optimize your Instagram ad campaigns.